Grab a pillow and let’s afternoon-nap this out. 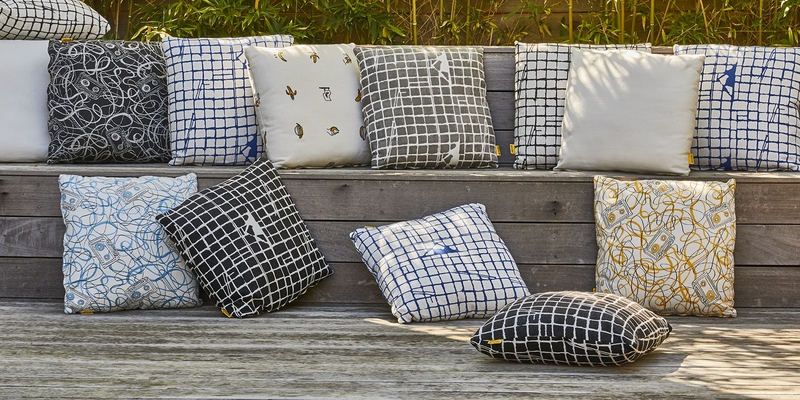 Every good outdoor sofa needs a wingman, and that would be one, or all, of our Stori Modern outdoor pillows. They’re made for the sun, the fun and the mischief the happens out on the patio. These 20” x 20” indoor/outdoor throw pillows in Sunbrella® fabric are sure to swoon all the senses. And they’re soft. Really soft. They are 100% solution dyed acrylic and are resistant to sun, heat, fading, stains and moisture. Our dense polyester fill holds shape better and longer than most other outdoor pillows. They have a hidden zipper enclosure with a knife edge detail. And they are 100% made in America. So throw the pillow on the sofa and your friends in the pool and let’s get this party started.